High DefinitION. 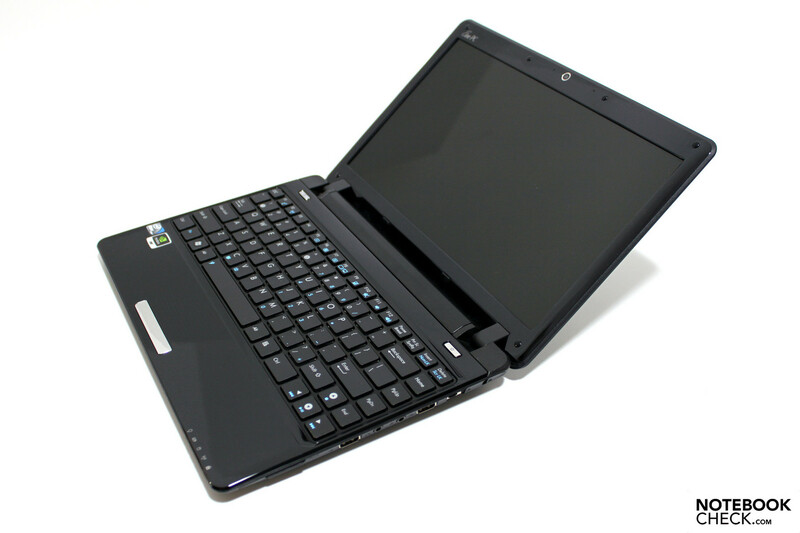 The first version of Ion already aimed at improving the performance of netbooks and enhancing their field of application. As Nvidia could no longer offer a chipset that supports the Pineview Intel Atom CPUs, the next generation of the ION platform comes with a dedicated graphics card. Here's the real kicker: Asus probably should have held on releasing the 1201PN until Optimus was ready for the Ion 2 platform. Had Optimus come on this machine, we can imagine things turning out a lot better for the 1201PN. If we could switch off the discrete GPU and use the IGP when needed, we suspect battery life figures would've been far better. And what's a little bothersome, aside from the lack of Optimus. Unveiled as the first Atom Netbook featuring a next-gen Nvidia Ion processor, the $499 Asus Eee PC 1201PN is an update to the very similarly named Asus Eee PC 1201N we reviewed at the beginning of 2010. As the first next-gen Nvidia Ion Netbook, the Asus Eee PC 1201PN is a bit of a misnomer--offering single-core Atom performance and no automatic graphics switching in an expensive package that underperforms its predecessor. The Asus EeePC 1201PN is a little costlier than your average netbook, because you're paying a premium for more system memory and an Nvidia Ion chipset. Although graphics and battery scores improve, processor speed takes a hit with the new single-core Atom N450. Overall, the 1201PN is a very good 12-inch, oversized netbook, but I rather you wait for the dual-core version or go with the Lenovo IdeaPad S12. If you don't need the graphics horsepower or a bigger screen, go with a smaller netbook like the Editors' Choice Toshiba mini NB305-N410 or HP Mini 5102. You'll save some money, too. Asus and Nvidia deserve credit for improving on on the best 12-inch multimedia netbook. For $499, the Eee PC 1201PN offers longer battery life and better graphics performance than its predecessor. However, this system's CPU often feels like a bottleneck compared to the 1201N's dual-core CPU, as we often had to wait for that Windows 7 circle to stop spinning. We also want Asus to banish its stiff touch button in favor of something more comfortable. Overall, the 1201PN is a good value, but some may prefer the $599 ThinkPad X100e, which offers better ergonomics, more processing power, and slightly longer battery life (though higher temps and no HDMI). The Acer Aspire Timeline 1810TZ offers even better endurance, but weak graphics. Still, if you're on a budget, this Eee PC is a good bet. Or wait until September, when Asus will offer a mobile dual-core version of this machine paired with Nvidia's Optimus technology (which automatically switches between integrated and discrete graphics). After much buzz, the first major update to Nvidia’s Ion graphics chipset is finally here. Nvidia calls it, prosaically, "Next-Generation Ion" (we'll term it "Ion 2" for short), and we got to test-drive it inside an Asus Eee PC 1201pn, a 12.1-inch netbook built around an Intel Atom N450 (Pine Trail) CPU. Equipped with Nvidia’s next-gen graphics and an Intel Pine Trail processor, this netbook offers excellent media playback and a roomy screen.